I love having my blog. It is just like my online recipe collection. It is quicker to look for the recipe online than find the page in a cooking book. So all the recipes here are the ones I use a lot. Not only do I want to keep them, but they are the ones I want to share. 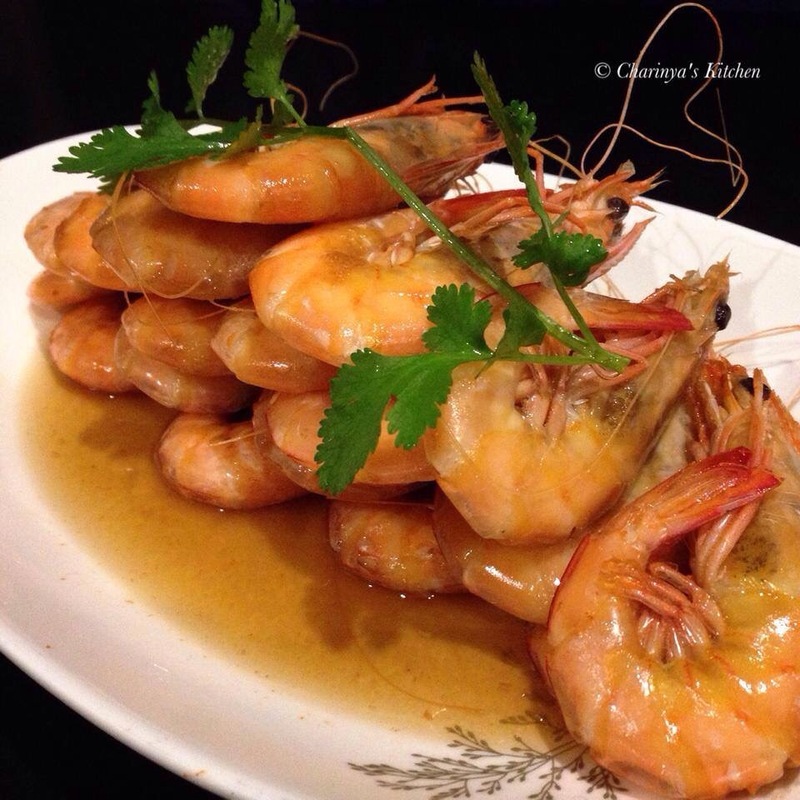 Seasoned prawns is a very simple and quick dish that delivers a succulent taste. I have made this dish many times trying different types of prawns, and It always comes out well. This time I also made a short VDO showing one way to make the dish. •1/2 cup of vegetable/chicken stock. • 1 teaspoon of salt. In a pot add stock then add prawns. Add sugar, salt and oyster sauce. Mix all ingredients in the pot thoroughly. Cover for 5-6 min. Open the lid and continue to cook until the sauce is reduced by half and the prawns are cooked. 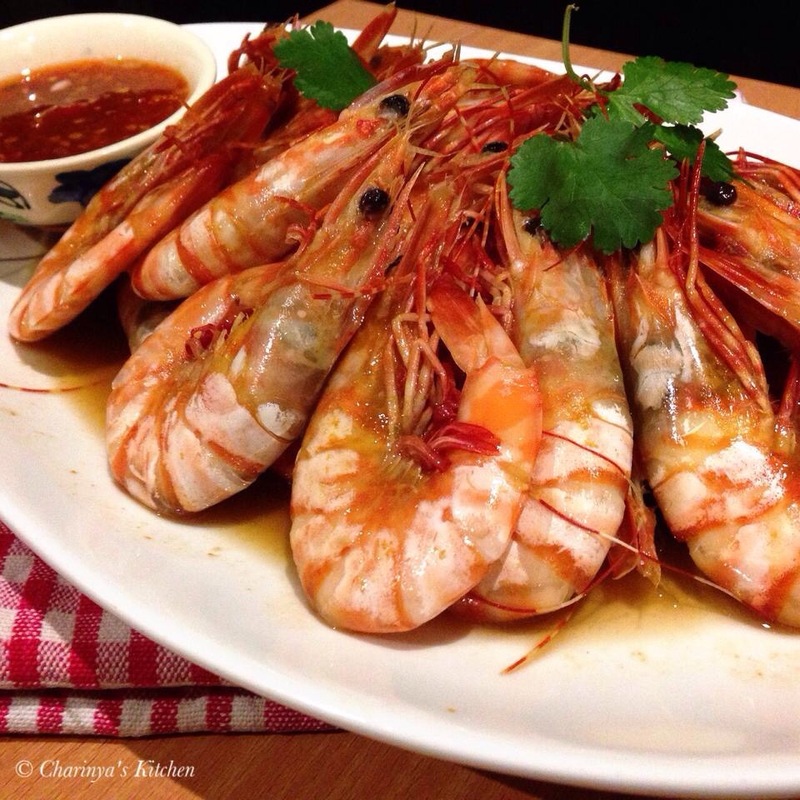 Serve the prawns with the sauce by itself or make a dipping sauce by grinding chilli, garlic and coriander root together and seasoning with fish sauce, sugar and lemon juice.